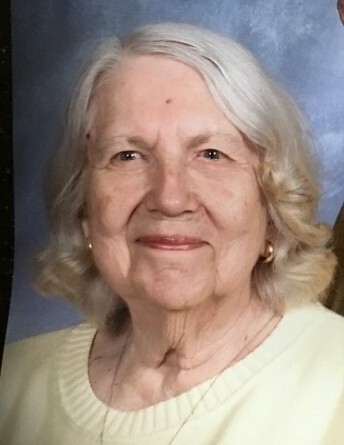 Margaret Marie Marx (Salmonson) of Scandia, MN passed away on Friday, September 7, 2018 at the age of 89 years old. Margaret was born July 27, 1929 to Jean and Jennie Salmonson on the family farm in southern Minnesota. Margaret is survived by her husband of sixty years, Charles Marx; her children, Matthew Marx (Sue), Sandra Maclean (Robert), Daniel Marx (Linda) and her three grandchildren Michaela Maclean, Andrew Maclean and Sydney Kaye Marx. Margaret is also survived by her sisters, Audrey Johnson (John) and Edna Madsen. Margaret graduated from the Moline Hospital Lutheran School for Nurses in Moline, IL and went on to complete her Bachelors Degree in Nursing from Augsburg College in Minneapolis, MN. She enjoyed many years working as an RN in Illinois and Minnesota. Margaret continued her career working as an Industrial Hygiene Nurse at the 934th Tactical Airlift Group. She went on to work as an OSHA inspector for the Federal Government and as an OSHA inspector for a privately held company. Visitation will be held from 10 a.m. until time of the Funeral Service which will held at 11:00 am, Saturday, September 15, 2018 at Lord of the Lakes Church, 25402 Itasca Avenue, Forest Lake, MN . Interment at Elim Lutheran Cemetery, Scandia, MN. In lieu of flowers, donations can be made to the Augsburg College of Nursing Scholarship Program.